Joshua Cribbs (born June 9, 1983) is an American football return specialist who is a free agent. He played college football for Kent State University, and was signed by the Cleveland Browns as an undrafted free agent in 2005. Cribbs is considered one of the greatest return specialists in NFL history. He has tied the NFL career record with eight kickoff returns for touchdowns, and also the NFL record with two kickoffs of 100 yards or more returned for touchdowns in a single game. He has also played for the New York Jets and Indianapolis Colts. Cribbs played quarterback at Dunbar High School in Washington, D.C. As a senior in the 2000 season, he was named a first-team All-Met selection by the Washington Post. While attending, he was teammates with future San Francisco 49ers tight end Vernon Davis. Cribbs played and lettered in baseball, swimming and basketball in addition to football. During Cribbs' time at Dunbar the Crimson Tide won three consecutive DCIAA football titles. In his senior season, Cribbs completed 130 of 277 passes for 2,022 yards, 9 touchdowns and 5 interceptions. In the 2000 Turkey Bowl (DCIAA Championship game played the morning of Thanksgiving), Cribbs led Dunbar to a 35-12 victory over the Ballou Knights. Two second half touchdowns thrown by Cribbs were key to the Crimson Tide's victory over Ballou—one of which was caught by then Dunbar sophomore tight end Vernon Davis. He is one of only two true freshman in NCAA history to both rush and pass for 1,000 yards (the other being Armanti Edwards of Appalachian State). He is also one of only six players in NCAA history to both rush and pass for 1,000 yards in at least two different seasons, the others being Beau Morgan of Air Force, Vince Young of Texas, Pat White of West Virginia, Armanti Edwards of Appalachian State, and Denard Robinson of Michigan. Cribbs accomplished the feat three times. He is one of only four quarterbacks in NCAA history to rush for 3,500 yards and throw for 7,000 yards in his career (the other three being Antwaan Randle-El of Indiana, Armanti Edwards of Appalachian State, and Brad Smith of Missouri. Cribbs was not chosen in the 2005 NFL Draft; however, he was signed as an undrafted free agent by the Cleveland Browns on April 29, 2005. He made the Browns roster for the 2005 season, and made an impact as a kick returner. He averaged 24.5 yards per return, and his total of 1,094 return yards set a franchise record. In a game against the Detroit Lions, he returned a kick 90 yards for his first NFL touchdown. He made his NFL debut versus the Cincinnati Bengals on September 11. In 2006, Cribbs signed a 6-year contract extension with the Browns. That year he set a new franchise record for most kickoff yardage in a season, breaking the record he had set the year prior. After returning yet another kickoff for a touchdown against the Oakland Raiders in Week 3 of the 2007 season, Cribbs had one kick-return touchdown in each of his first three years in the NFL. Cribbs recorded his fourth kickoff-return touchdown with a 100-yarder against the Steelers in Week 10 of the 2007 season, as well as a 90-yard return earlier in the game. Cribbs continued his season with 245 return yards and 61 punt return yards in the Browns overtime victory over the Ravens in week 11. Cribbs was voted to the 2008 Pro Bowl as a kick returner for the AFC. Cribbs also had a 76-yard punt return for a touchdown against the 49ers. Cribbs had another returned for 94 yards for another score but was called back on a holding penalty by Brandon Noll. For the fourth straight season, Cribbs again had a touchdown on a kickoff return, scoring on a 92-yard return versus the Baltimore Ravens in Week 9. It was the fifth kickoff return touchdown of Cribbs's career. 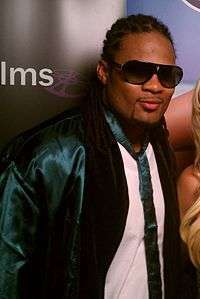 Cribbs also had a 4-yard rushing touchdown against the Buffalo Bills in a Monday night game. On November 26, 2008, after placing Brady Quinn on injured reserve, the Browns named Cribbs their emergency quarterback. On September 13, in the Browns' home opener versus the Minnesota Vikings, Cribbs returned a punt 67 yards for a touchdown, tying the team record for returns for a touchdown (7) with Eric Metcalf. Also, in that same game, Cribbs was named the starting No. 2 wide receiver for the first time in his NFL career. On October 18, Cribbs returned a Pittsburgh kickoff for a touchdown, breaking the team record for returns for a touchdown. In this game he became the first NFL player to throw an interception and record a kick-off return touchdown in the same game since 1950. On December 10, Cribbs led the Browns to victory over the Pittsburgh Steelers, their first win over their rival in 13 games. Cribbs led all offensive players with 200 all-purpose yards, including 87 yards rushing out of the Wildcat formation. On December 20, Cribbs returned two kickoffs for touchdowns against the Kansas City Chiefs to set and extend the all-time NFL record for most kickoff returns for touchdowns in a career. On December 29, Cribbs was named to the 2010 Pro Bowl for the second time in his career as the Browns' and AFC's representative as the kick returner. Cribbs was also named the Browns' team MVP for the 2009 season. In February 2010, Cribbs's agent said that contract negotiations were going well. John "JR" Rickert (Cribbs's agent) had said multiple times that things were going well in making a new contract. On March 5, 2010, Cribbs re-signed with the Cleveland Browns with a three-year, $20 million contract. In 2011 Cribbs set a career high of 41 receptions, 518 yards and 4 TD's. He also had an 84-yard punt return for a TD. 2011 also marked the year of the NFL's rule change on kickoffs, shifting the position from the kicking team's own 30-yard line to the 35. The move intended to prevent more returns due to the violent collisions that they sometimes yielded. Cribbs saw his return numbers dwindle somewhat from the rule change, and the market value for specialized return men has dwindled as well. Cribbs had a rebound season with 1136 kick return yards and 450 punt return yard with just 3 lost fumbles He averaged 27.4 yards per return, good for fourth in the NFL. On October 7, during a Week 5 game against the New York Giants, during which Cribbs returned 6 kickoffs for 221 yards, including a 74-yard return; he also returned 1 punt for just 12 yards. The Browns would lose to the Giants, 41-27. Cribbs was released on March 12, 2013. He took to an emotional response following the release, and posted a farewell message to Browns fans via Instagram. Cribbs was signed by the Indianapolis Colts on November 17, 2014. In 6 games, he recorded 1 reception for 8 yards, as well as 19 kickoff returns for 608 yards and 19 punt returns for 125 yards. Following the 2014 season Cribbs appeared on an episode of ESPN's Outside the Lines, discussing concussions. Cribbs stated that a specialist at the Cleveland Clinic told the then 32 year old Cribbs that he had the brain of a person in his late 50s. He stated that despite the diagnosis he would continue to play in the NFL if possible, comparing himself to a smoker with late stage cancer who continued to smoke. ↑ "Top 10 Best Kick Returners in NFL History". prosportstop10.com. ↑ "Players: Joshua Cribbs". Cleveland Browns. Archived from the original on 2007-10-17. Retrieved 2007-12-31. ↑ "Fall 2000 All-Mets". Washington Post. December 13, 2000. ↑ Williams, Preston (November 23, 2006). "Talking Turkey, Remembering Their Roots". Washington Post. ↑ "Quinn Done for the Season". Cleveland Browns, 2008-11-26. Retrieved on 2008-11-30]. ↑ "Watch Pittsburgh Steelers vs. Cleveland Browns [12/10/2009". NFL.com. Retrieved 2013-12-06. ↑ Sablich, Justin (January 31, 2010). "NFL's All-Decade Team Revealed". nytimes.com. Retrieved 2010-01-31. ↑ Busbee, Jay (2013-03-14). "Josh Cribbs offers up a classy Instagram farewell to the city of Cleveland | Shutdown Corner - Yahoo Sports". Sports.yahoo.com. Retrieved 2013-12-06. ↑ Allen, Eric (15 October 2013). "Josh Cribbs Signs, Greg Salas Agrees to Join Active Roster". New York Jets. Archived from the original on 15 October 2013. Retrieved 15 October 2013. ↑ Lange, Randy (3 December 2013). "KR Darius Reynaud Signs, Josh Cribbs Goes to IR". New York Jets. Archived from the original on 3 December 2013. Retrieved 3 December 2013. ↑ Jackson, Zac (18 November 2014). "Colts plan to sign Cribbs". Fox Sports. Retrieved 18 November 2014. 1 2 3 4 5 6 7 "Cleveland Browns Franchise Encyclopedia". Pro-Football-Reference.com. Retrieved 24 August 2012. ↑ "The Official Site of the Cuyahoga County Fiscal Officer". Fiscalofficer.cuyahogacounty.us. Retrieved 2013-12-06. ↑ ""The League" The White Knuckler (TV Episode)". imdb.com. Retrieved 2011-02-11. ↑ ""Hot In Cleveland" The Gateway Friend (TV Episode)". imdb.com. Retrieved 2012-05-08. ↑ The inherent risks of football (Video Clip). ESPN.COM. May 15, 2015. Retrieved July 10, 2016.